Having a clean bathroom is on the top of my list of cleaning. There is nothing worse then having to use a dirty bathroom. I avoid using public bathrooms for this very reason. 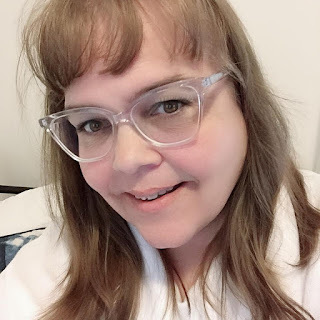 I always clean my own bathroom by hand so that I know it is good and clean. So when I was approached to use the Clorox Disinfecting Wand I really didn't have HUGE expectations after all how could it be better than the method I have been using forever. 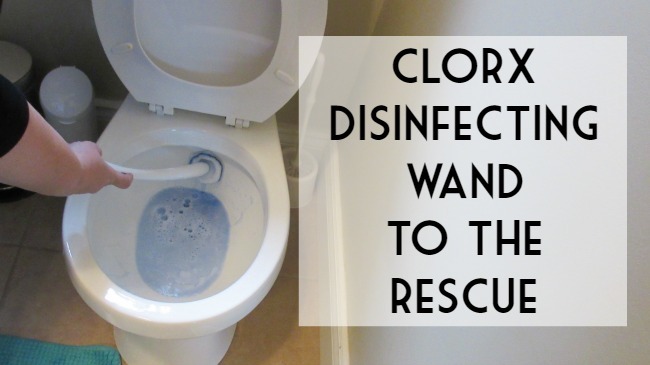 To my surprise the Clorox Disinfecting Wand was very easy to use and even better it did a fab job of cleaning my toilet. I didn't have to go over anything a second time. The wand also had enough cleaner in it to get the job done. 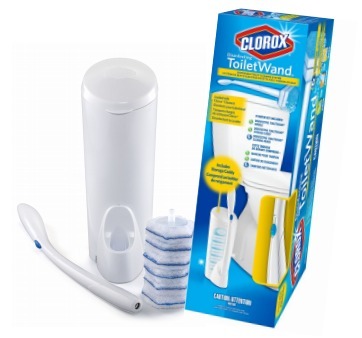 I think the Clorox ToiletWand has just made cleaning my toilet a whole lot easier. I love that you can release the toilet head refill without touching the head. All it takes is a simple click and it pops right off the handle and the handle stores in the storage caddy right by the toilet. The Clorox ToiletWand is now in my aresenal for cleaning my bathroom. No other bathroom hacks needed. AVAILABLE AT WALMART, EXTRA FOODS, RCWC, LOBLAWS, SUPERSTORE, DOMINION, FORTINOS, PROVIGO, YIG, AND ZEHRS. Welcome to my clean bathroom and my sparkling clean toilet!